Many married couples do not realize why their prayers are sometimes unanswered. From this text we learn that if the couple are not of one mind or if they do not dwell together in unity and harmony, their prayers will be hindered. Quite often, couples who fight, quarrel and argue, do not have family prayers because their spirits are not ready to pray together. They may have their own excuses and may say, “I pray alone,” but that prayer may not go above the ceiling. How can the couple be of one mind? The above text says, “Be ye all of one mind, having compassion one of another.” Yes, that is the secret. The husband and wife can never be united if they wait to become perfect in character. The wife may find various failures and mistakes in the husband’s life and the husband may find mistakes in the wife. So they can have one mind only when they have compassion for each other. What is compassion? 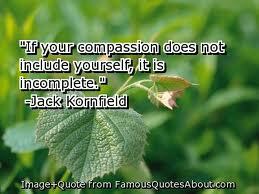 Compassion is a sympathetic feeling towards someone for his or her weak points, troubles, failures or drawbacks. Instead of having sympathy, if you have a critical attitude towards others’ failures, you can never be of one mind and, as long as you are not of one mind your prayers are hindered. This principle of being of one mind is applicable not only for married couples, but also for others. Dear reader, perhaps some of your prayers are not answered because you are not of one mind with others. Unless we are united with others, whether in the gospel work, in family life or in any other thing, and see others’ mistakes with compassion rather than with a critical spirit, we cannot see God answering our prayers.